BAT - BLOG : BATMAN TOYS and COLLECTIBLES: #BATMAN V SUPERMAN Movie - First Look at the New BATWING! 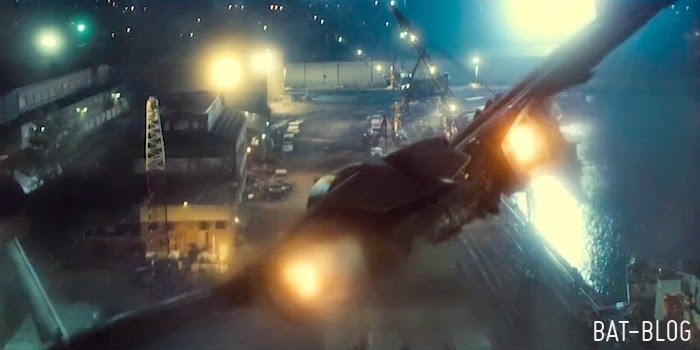 #BATMAN V SUPERMAN Movie - First Look at the New BATWING! Up above is an unofficial photo leaked on Instagram recently showing what the BATWING Batman vehicle might look like in the new BATMAN V SUPERMAN movie! Then, down below, is a screen shot from the official movie trailer where you can see the back-end of the bat-jet... or, as we like to call it, THE BATWING! !